I'm finally getting round to reviewing some of the goodies I bought myself at IMATS, it's only taken me what...a month? Whatever. 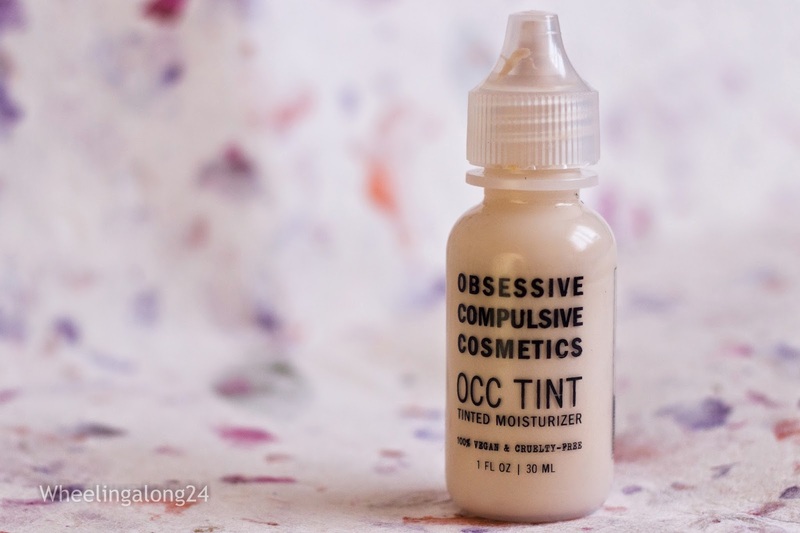 OCC is a brand that doesn't have a problem with pale, if you've ever used their concealers you'll know that even though they only have 10 shades spread equally across 2 undertones they mange to have super pale shades & nice deep shades pretty much covering every base. Kind of the way Mac Face & Body do shades....except a lot paler. Actually the formula of this is quite similar to Face & Body in a number of ways. The formula is very light & water based & as you work it in it suddenly becomes....the only way I can explain it is 'stiffer' & then it sets onto the skin. Would I buy it again? HELL YES! Just for the shade (I wear Y0) I would buy this product over & over again. I love the dainty little packaging. Isn't it the cutest packaging? You have to try their pigments, lip tars & cream pigments. Basically everything, I've yet to try a dud product from them! In the summer, if we're going for a day out (on Friday we went to the beach), I normally opt out of the makeup and just wear my eyeliner, because I don't really leave home without that haha! But I've been tempted with tinted moisturiser as a way to wear less make up in general. I've not heard of OCC doing base products but I love the sound of this! Glad to hear of a brand catering for paler skin!